Passion. Leadership. Making a difference. Junior Erin Jacobs uses these words to describe her experience volunteering with children internationally. Jacobs took part in two trips last year and plans to continue these trips throughout her high school career, one in Belize and one that spans both Mexico and California. According to Jacobs, she has taken part in these trips since last year. Jacob’s initial trip took place last year. According to Jacobs, she was inspired to try one of these trips after noticing many participants in her youth group enjoyed the experience. Her first trip, “MexiCali”, last year is what initiated her continuing passion for this type of work. This trip involved the team of high school students first traveling to California to organize their supplies for the village and then proceeding to their respective villages in Mexico for the volunteering opportunities. 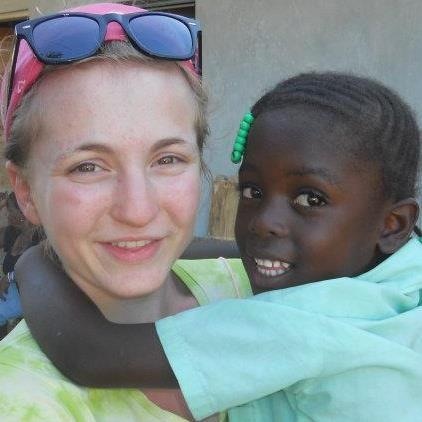 During this experience, Jacobs spent her time in a tiny village called Tabasco. Activities included making crafts and playing games with the children. Jacobs became extremely close to the children in Tabasco, and still thinks about them as she goes about her daily life. She often speaks of them to her peers, as she counts down the days until she can see them again. “I still have the crafts they made me and I remember each of them, all of their names,” Jacobs said. Junior Elizabeth Cavanaugh attended the MexiCali trip with Jacobs last year and said that Jacobs often assisted her during their time with the children. According to Cavanaugh, the experience shared between the volunteers also created a bond between them. “I definitely think we were brought closer together through the village experience we shared that week,” Cavanaugh said. As Jacobs and Cavanaugh prepare for this year’s trip to Mexico, they are looking forward to new experiences and new ways to step up and make a difference. “There will be new bonds to form with the people who live there and new memories to capture in every coloring book picture I fill out, soccer ball I kick, and piggyback ride I give,” Cavanaugh said. After her first experience in Mexico, Jacobs was inspired to extend her reach further. Jacobs discovered the trip to Belize through students in her youth group and was determined to go, dreaming of another experience similar to the one she had in MexiCali. “Erin expressed an interest and it is something that she is so passionate, I had to make it happen,” said Jacobs mother, Jeanne Jacobs. Jeanne Jacobs accompanies Jacobs on these trips and believes that these experiences help bring them closer together. The Belize trip includes both adults and children. The team members are split up, building a school, building a house, and working in the schools. Jacobs’s typical day often involved waking up around 7am, packing all their supplies in their van and then a 45-minute ride through a beautiful and exotic jungle. “The drive through the jungle was just beautiful,” Jacobs said. The rest of the day includes a combination of games with the kids at recess, making crafts, and reading with the children. Jacobs left the village everyday around 4pm. One aspect of Belize that drew Jacobs too furthering her work in this area was the different culture she experienced. “In Belize I love to learn about the different cultures,” Jacobs said. Jacobs often experiences a direct contrast in Belize culture versus American culture. She found the differences both intriguing and inspiring, as they encouraged her love for a different look at life. “There was a lady who was gorgeous, she was skinny and beautiful. Here she would be a model, but in here village she was looked down upon for being too thin,” Jacobs said. Beyond anything, Jacob’s feels the most satisfaction from the friendship she creates with the children she works with. “The most rewarding thing is to build that relationship between two very different people from very different cultures,” Jacobs said. She said she had a true moment of gratification on the last day of Belize. As she speaks of her memories with the children, her face lights up and a smile beams across her face. “On the last day all the kids come up and hug you, because they know you’re leaving,” Jacobs said. 2012 Seaholm graduate Melinda Fithian traveled to Belize with Jacobs last year, and noticed her ability to take leadership in this type of work. “Erin has a natural ability to care for others. She is a natural born leader and easily encourages others to makes a difference,” Fithian said. Fithian said that Erin’s excitement and dedication to working with the children makes her a leader. Inspiring others around her to work harder for a cause they believe in. According to Fithian, working in countries such as Belize requires a certain sense of maturity and dedication that Jacobs was able to master. Beyond her direct work with the children, Jacobs’s commitment and passion is demonstrated through the months of fundraising she takes part in for both trips. According to Cavanuagh, fundraising the MexiCali trip alone lasts for around six months and requires the each participant set aside a great deal of time. Fithian said that fundraising works the same for the Belize trip. Jeanne Jacobs said one of her favorite part of the experiences is the book collection that they do before the trips to be able to supply the children with books when they go. “Right now we have six full boxes of books to take with us,” Jeanne Jacobs said. Jeanne Jacobs works at Covington and assisted with a book drive with 5th and 6th graders in order to obtain these books. “The students at Covington are so excited to see the students with their new books,” Jeanne said. According to Jacobs, all the work and factors that go into the trip have combined to make it her true passion. Fithian believes that Jacobs’s love for every part of the process is what deems her destined to work in the fields. “These trips are what convinced me to get my medical degree and work with Doctors without Borders in the future,” Jacobs said. Although Jacobs doesn’t have every detail mapped out, she feels that wherever she ends up, working with children in these communities will always be a part of her. “This is what I want to do for the rest of my life,” Jacobs said.